The Ethan Grey Fabric Sofa Bed is big enough for two people to sleep on – or for one person to stretch out like a starfish on! 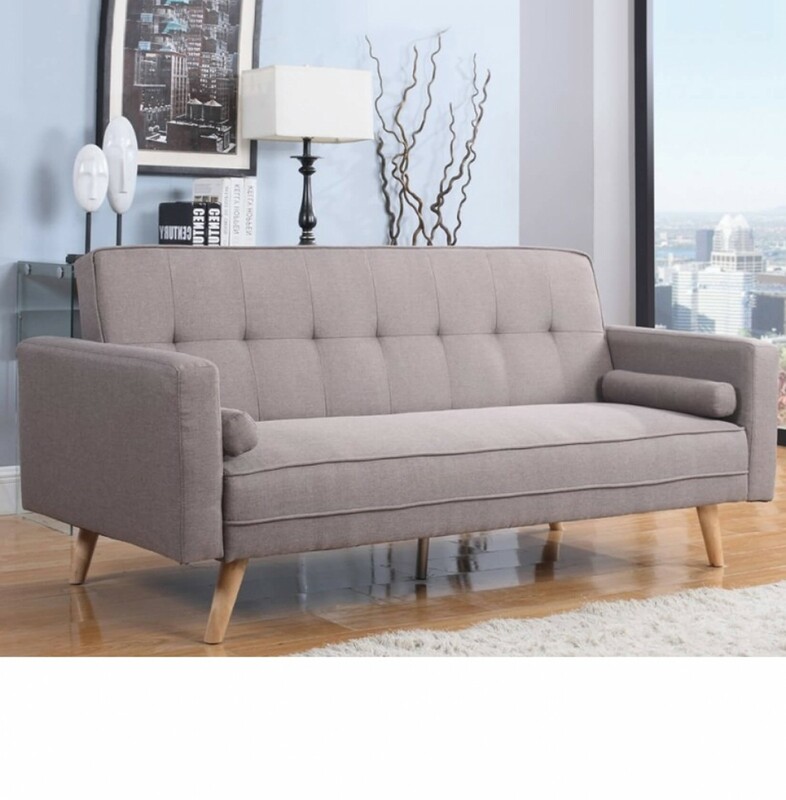 Whatever or whoever you need a sofa bed for, the Ethan grey fabric variety is an excellent choice if you’re looking for modern style and aesthetic appeal. The contrasting buttoned backrest adds depth and character to an otherwise crisp and minimal design. Together, these contrasting elements combine to provide a real retro feel and image you are sure to fall in love with! Setting up your sofa bed isn’t difficult either. Simply push the backrest down to flatten made the bed level and voila! A wonderful night’s rest awaits you or your favourite house guests! Completely upholstered in soft grey fabric, your new Ethan sofa bed will blend into its surroundings seamlessly and provide an incredibly comfortable platform for a sound night’s sleep. Do you have wooden flooring in your home? This will match the incorporated wooden legs perfectly, creating a contrasting image that works well with the grey fabric colour. Is your floor carpeted instead? Again, the wooden legs provide a lovely juxtaposition, separating two elements of fabric in your living space. What’s more, as the legs raise the sofa from the floor, you’re allowed easy access to the space underneath. This is very beneficial when it comes to cleaning! We all know how much of a pain it can be getting the dust underneath our furniture!